A remarkable development in optometry and ophthalmic optics is taking place in Portugal on last couple decades. The importance of Optometry is now widely recognized in Portugal. A major effort is being undertaken by optometry professionals, students and universities, on the improvement of training and instruction in Optometry. Research on vision sciences in ophthalmic optics and optometry is also fast increasing in Portugal and therefore we are getting into the edge of the remarkable advances in Ophthalmic Optics and Optometry. The Portuguese Association of Graduates in Optometry, APLO, is committed to the development of optometry in Portugal both at professional level and scientific research. The Portuguese Society for Optics and Photonics, SPOF, embraces those goals recognizing the importance of vision sciences and optometry and, in cooperation with other institutions active in the field, will work towards its development. Together we are organizing a high level advanced scientific and technical international training school in Optometry and Ophthalmic Optics. 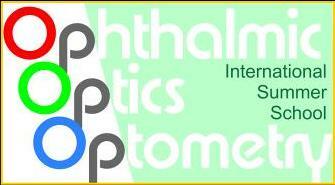 The 1st International Summer School on Advances in Ophthalmic Optics and Optometry is the first of the kind in Portugal and reunites world renowned optometry and ophthalmic optics specialist. This first edition will be focused on “Learning Related Vision Problems” a topic of utmost importance in optometry with remarkable and exciting recent developments that also are going to be presented at the school along with more practical training sessions. we are looking forward to welcome you in Aveiro!